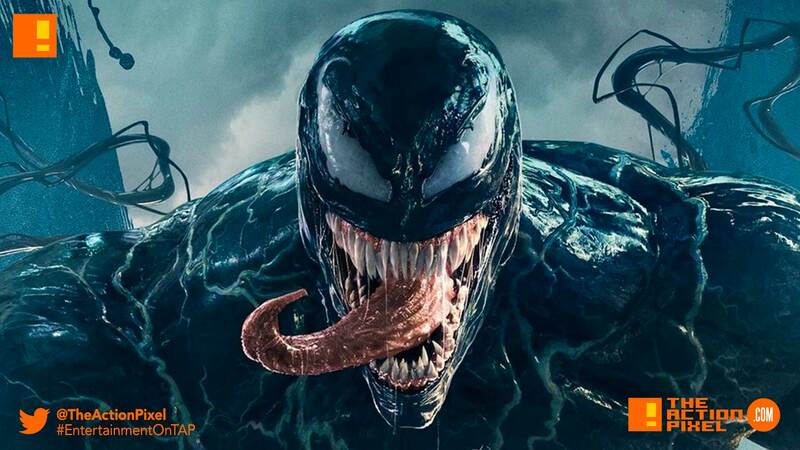 After going PG-13 on us, the Sony-led Marvel feature Venom drops a new poster on fans that has the symbiote spreading its darkness all over the place. Now there is a lot happening, where it almost feels like they wanted to fit every character, sequence and setting in one poster. So in that sense, not terribly fond of this one. And the downside of course to the rating, the horror aspect that Sony could so-easily explore with Venom, doesn’t seem like an avenue now. Especially if the mystery surrounding Venom loses its lustre with every trailer and poster showing. And in all honesty, if we were to analyse the entire thing, we’re sure there is an unnecessary spoiler or three. Venom is directed by Ruben Fleischer and stars Tom Hardy as Eddie Brock (Venom). The film will also feature Carnage.